Flooding is always a potential issue in the Bay Area as weather conditions such as heavy rain as well as other factors inside your home or building can lead to indoor flooding. Burst pipes, sewage backups, leaks, and overflows can all cause significant flooding which can quickly damage the surrounding building materials and increase the risk for mold growth. It is vital to contain and remove the flood water before it gets absorbed deeper into your home or building. 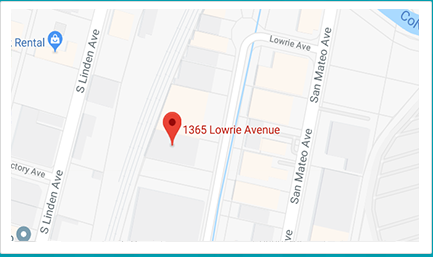 ServiceMaster Disaster Restoration and Recovery provides flood damage restoration services in Palo Alto, CA to extract flood water from residential and commercial settings. We will remove all flood water and moisture with advanced extraction and drying equipment as well as clean up and restore the affected areas. 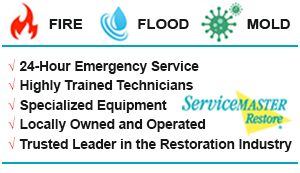 Our technicians at ServiceMaster DRR combine for over 35 years of experience when it comes to handling flood damage. Indoor flooding is very damaging because the water gets soaked into porous building materials including flooring, drywall, wood, and others. This not only contributes to structural damage by weakening the materials, but also contributes to mold growth by creating favorable conditions. We are prepared to remove flood water using the best water extraction equipment available and we will also completely dry the affected areas with our floor mat systems, dehumidifiers, and air movers to prevent further damage and mold growth. If you need further cleaning services for your affected furnishings and objects, we provide content cleaning and restoration as well as carpet and upholstery cleaning. Do not use a vacuum cleaner to remove flood water. Avoid any electrical appliances if they are on a wet floor. Shut off the power before entering an area with standing water. Permanent carpeting should be removed by professionals because you can cause shrinkage trying to remove it improperly. Call ServiceMaster DRR immediately to remove the flood water and limit the damage. It is somewhat common for flood water in a home or building to contain sewage as flood water often gets mixed with sewage and sewage backups can be the source of indoor flooding. Flooding with sewage is hazardous to your health because it can consist of disease causing viruses and bacteria such as hepatitis and E-Coli. We are licensed and equipped to handle the removal of sewage water in a safe and effective manner. Our technicians will completely remove all sewage and thoroughly disinfect and restore the damaged area to reduce the associated health risks. Any amount of flooding in a home or building can lead to extensive damage so call ServiceMaster DRR immediately if you experience flooding in Palo Alto, CA. Our technicians will keep the damage contained and completely remove all flood water and moisture. We are standing by 24 hours a day at (800) 439-8833 to provide emergency flood damage restoration.